HOLLYWOOD—Robert Drasnin, who died Wednesday at the age of 87, may not be a household name. But if you grew up in the 1950s, '60s, or '70s, you almost certainly listened to his music. Drasnin spent most of his career composing music for television, although he also composed for feature films and created one especially popular album of "exotica" music that brought him fame late in life. He also was active as an educator, ushering hundreds of young composers into the craft of scoring for movies and TV. In the television world, Drasnin was well-known for his 1960s spy music. He scored multiple episodes of The Man From U.N.C.L.E., Mission: Impossible, The Wild Wild West and I Spy. All these international-intrigue assignments conspired to help him land his best-known feature, John Huston's 1970 film The Kremlin Letter. But it was the small screen that provided a living for the West Virginia native. Drasnin started in the days of live television, scoring four of the landmark Playhouse 90 dramas for CBS in 1957-59 (among them the Ernie Kovacs comedy "Topaze," and an adaptation of "Heart of Darkness" with Roddy McDowall and Boris Karloff). He later earned praise for the 1966 TV adaptation of Arthur Miller's Death of a Salesman, which reunited original Broadway stars Lee J. Cobb and Mildred Dunnock. His quietly touching music, written for just nine musicians, gently underscored what The New York Times called "a landmark in studio drama, an occasion of power so shattering and poignancy so delicate that there is no earlier parallel to cite." At 20th Century-Fox, he wrote diverse music for science fiction (Voyage to the Bottom of the Sea, Lost in Space, The Time Tunnel), Westerns (Daniel Boone, Lancer, The Monroes) and drama (Judd for the Defense, Felony Squad). Quinn Martin detective shows kept him busy during the 1970s (The Streets of San Francisco, Cannon, Barnaby Jones), but he also worked at Paramount (Mannix, Longstreet), Columbia (Police Story), MGM (CHiPs) and Universal (Jigsaw). CBS was home, however, at the start of his career and again near the end. He provided a warm guitar-and-harmonica ambiance for a moving 1962 Twilight Zone titled "The Hunt," about a hillbilly who refuses to enter Heaven without his beloved hound dog. Twenty-three years later, for the network's revival of The Twilight Zone, Drasnin's music lent wistfulness and drama to Danny Kaye's memorable turn as the keeper of a special timepiece in Harlan Ellison's "Paladin of the Lost Hour." That was one of four new Zones that he scored while he was head of music for CBS (from 1977 to 1991). A wonderful raconteur, Drasnin told jaw-dropping and hilarious stories about the producer's insistence that the series be scored by his favorite rock group, The Grateful Dead, and the expensive, months-long musical disaster that ensued. Drasnin excelled at the spy genre. His Man From U.N.C.L.E. episodes – despite being written for just seven to nine players – yielded some of the series' most fun music (harpsichord for Vincent Price in "The Foxes and Hounds Affair," a hip bossa nova for "The Tigers Are Coming Affair," the sedate saxophone of "The Dippy Blonde Affair," the cool jazz of "The Pop Art Affair"). Mission: Impossible gave him the opportunity to explore the music of the Middle East ("The Slave"), wartime Germany ("Echo of Yesterday"), Eastern Europe ("The Play"), the Far East ("Butterfly") and other locales. His favorite of the spy shows, however, was The Wild Wild West, where he helped to establish the musical format by scoring the second and third episodes. 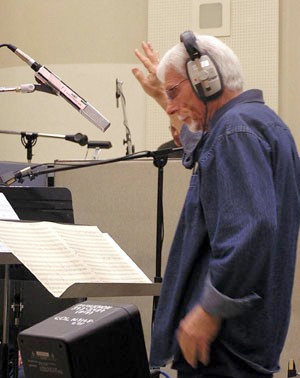 He composed the theme for West's nemesis Dr. Loveless (Michael Dunn) in "The Night the Wizard Shook the Earth"; incorporated Mexican sounds in "The Night of the Deadly Bed"; and added a delightful Gothic touch to "The Night of the Man-Eating House." From 1969 to 1971, he scored several of ABC's early Movies of the Week that have since become suspense classics, including Daughter of the Mind with Ray Milland, The Old Man Who Cried Wolf with Edward G. Robinson, Crowhaven Farm with Hope Lange and Dr. Cook's Garden with Bing Crosby. Drasnin was as well-trained as any Hollywood composer of his time. Even before he received his master's degree from UCLA, he played flute, clarinet and saxophone for such jazz greats as Les Brown, Tommy Dorsey and Red Norvo. He studied composition with Lukas Foss and was as adept at classical techniques as he was at jazz improvisation. His 1959 exotica record Voodoo became a cult favorite in the 1990s and inspired a 2007 sequel, Voodoo II. Both are still fun listens. Drasnin's feature-film scores, opportunities to work with larger orchestras, are well worth seeking out. His 1970 Cold War thriller The Kremlin Letter, recorded in Rome with a 70-piece orchestra, reflected the film's bleak world view; for Jack Nicholson and Monte Hellman's 1966 Western Ride in the Whirlwind he helped to propel the action and augment the suspense. Educating the next generation of film composers was a priority for Drasnin. 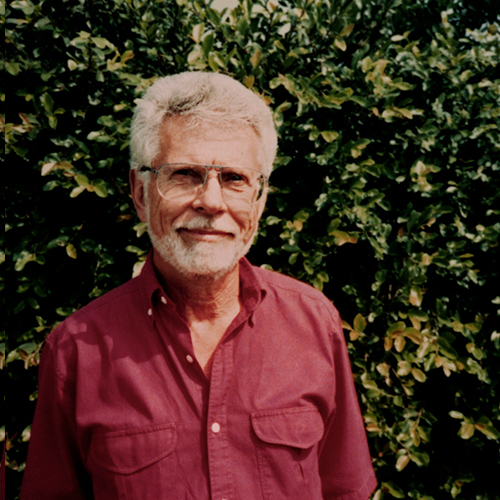 He taught at Cal State Northridge from 1976 to 1991, and at UCLA Extension from 1993 to 2014. He was revered by his students, many of whom have gone on to success in the profession. That's one measure of his impact; another is the memories that we carry from our favorite shows of the past 30, 40 or 50 years of television watching. Bob Drasnin helped to score our childhood.